Our bodies change in numerous ways as we age. As a result, our nutritional needs also change as we grow older. Age-related changes affect how our bodies process food, which influences our dietary needs, appetite, and digestion. The foods we eat have a strong impact on our health, weight, and even our mood. As we grow older, it becomes especially important that we choose the right foods and avoid dietary shortfalls that are common among seniors. However, with the aid of a remarkable homecare system or homecare software, like ClearCare, caregivers can better manage each aspect of senior nutrition. Good nutrition keeps your muscles, bones and organs strong. 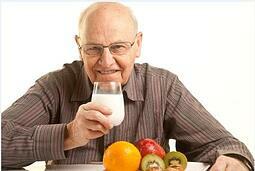 Eating a well-balanced diet of vitamin-rich foods boosts immunity and helps fight illnesses common to seniors. The right diet can reduce the risk of heart disease, stroke, high blood pressure, high cholesterol, bone loss, type-2 diabetes, anemia, and cancer. Nutritious foods also help you maintain a healthy weight, which will add many enjoyable years to your life. Older ones need additional calcium, vitamin D and vitamin B12 in their diet. It’s also important to get enough protein, fiber, fruits and vegetables. A balanced diet will help seniors feel stronger, younger, and more energized. If you’re having trouble preparing nutritious meals, take advantage of the home care services offered by your caregiver. This will be especially easy if you use an agency that features ClearCare’s time-saving homecare system and homecare software. Caregivers will refer to their homecare software for meal times, healthy diet plans, and nutritional tips. Eating well is not only beneficial for your body but your mind as well. Scientists have discovered that key nutrients are essential for the brain to function properly. Research shows that individuals who eat a selection of brightly colored fruit, fresh leafy vegetables, and fish packed with omega-3 fatty acids can improve their focus and decrease the risk for Alzheimer’s disease. Ask your caregiver to suggest nutritious meals and snacks that will increase your energy and keep you feeling young. A homecare system and homecare software will help keep your mealtimes regular and update family members regarding any dietary concerns. Caregivers that use ClearCare’s homecare system can also watch out for common dietary mistakes - such as skipping meals, eating too much salt, sugar and oil, or not drinking enough water. Relying on a helpful homecare system or homecare software is the best way you and your family can monitor healthy eating. With proper nutrition you will enjoy better overall health, have sharper cognitive skills, and live longer. What other senior diet tips do you feel are important? Drop us a note and let us know!